As part of our project GEDII an exhibition of women inventors was realized which can be rented. 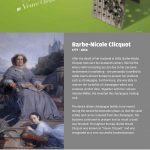 The exhibition is dedicated to women whose inventions are particularly remarkable and relevant to the present day. The photo documentation “Women Inventors” is connecting history, present and future, focusing on womens’ innovations. The intention of the photo documentation is to achieve a high degree of identification with the topic of women, innovation and technology. After the visit of the exhibition, the inventions remain in the minds of the spectators, with the additional knowledge: “That was invented by a woman”. Please note: The exhibition is a work in progress and is updated and expanded from time to time. 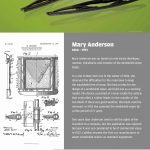 Do you miss any important women inventors in your field of R&D? We are looking forward to your suggestions. The individual roll-up banners are about 88 cm wide and 2.30 m high when they are set up. We are happy to provide you with the exhibition “Women Inventors” at your venue. 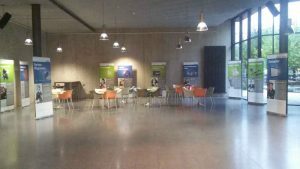 All exhibits are designed as rollup banners, so that no restrictions have to be considered regarding exhibition space and transport. Longer loan periods and special rates are possible by arrangement. *Plus VAT and travel expenses, depending on the speaker. Please find here our Exhibition – General terms and conditions. The rental fees will be used exclusively to cover the costs and to further develop the exhibition. Please contact us to arrange special rates and longer rental periods. The English version of the exhibition of women inventors (update, translation and production) was realised as part of the project GEDII, funded by the European Commission. This project has received funding from the European Union’s Horizon 2020 research and innovation programme under grant agreement No 665851.